Resource center Guide to Drug Withdrawal Symptoms What is the Alcohol Withdrawal Process Like? 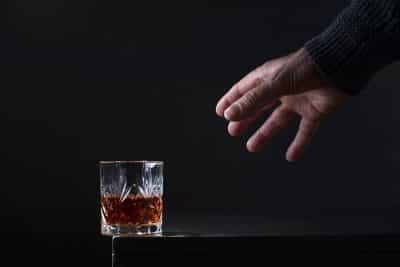 Many people who want to quit their drinking problems face the prospect of going through alcohol withdrawal. It is an unpleasant reality of breaking the physical hold of alcohol, but completing it opens the door wide to an effective and long-lasting recovery. Understanding the steps of the alcohol withdrawal process will allow individuals, as well as loved ones, to know what is happening in the journey to sobriety. When people drink in moderation, their body naturally removes the toxins in alcohol. This happens when the liver metabolizes the ethanol in alcohol and flushes it out of the system. This process is known as detoxification. For people who drink frequently, the liver does not have a chance to fully detoxify from the constant flow of alcohol. When a person who has a drinking problem makes the choice to stop drinking, it is vital that they give their body a chance to detoxify. This will not come easily; the liver has to work extra hard to fully cleanse the body of all traces of alcohol, and it will need a lot of help and time. A large part of this transition is due to the mental and physical changes that happen when a person cuts back on their drinking or completely halts their alcohol intake. The changes are the detoxification process at work, also known as withdrawal. The nature, severity, and length of the withdrawal symptoms depend on many factors, such as the length and extent of the alcohol abuse, any mental health or medical factors that influence the person’s physiology, if there are other substances present, the individual’s medical and family history, and unique lifestyle and environmental factors that cannot be fully accounted for. To that point, while there are general similarities in the alcohol withdrawal process, every experience is different, and requires supervision by doctors and other healthcare professionals. This kind of oversight will ensure that despite the stress of detoxification, the person achieves maximum recovery to begin future rehabilitation. What are Causes of Withdrawal? By its chemical nature, alcohol is a depressant, which means it slows down responses and functions in the brain and nervous system. Over time and with repeated exposure, alcohol changes the way nerve cells communicate with each other. The more alcohol is consumed, the more this state becomes the norm. The brain has to work harder than usual to compensate for the depressant effect of dulled responses and muted nerve communication. When the alcohol level is abruptly cut off, the brain cannot simply revert to optimal functioning; it remains in its damage control mode, which is what causes the wide variety of withdrawal symptoms. As the brain comes to reckon with the lack of alcohol upon which it has become dependent, the signs of withdrawal usually start mildly. They resemble the symptoms of a hangover: anxiety, headache, nausea, insomnia, and general malaise. In some people, the discomfort is exacerbated if they are aware of the difficulty of the withdrawal process. As a result, they might also experience cravings for more alcohol in the early stages of detoxification, and the persistence of the craving throughout the duration can be one of the hardest parts to deal with. For people who do not have a significant drinking problem, this might be the extent of the withdrawal process. For the many others who need medical help in their journey, this is only the beginning. Those who drink so much that they induce mental health problems will also experience psychological side effects of withdrawal. Upwards of 12–24 hours after their last drink, they might experience hallucinations, trembling in their limbs, or even seizures. These symptoms can obviously be very dangerous to the individual and others, or even life-threatening, so it is very important that people don’t go through this part of the process on their own. These effects might last upwards of two days. Are there Severe Side Effects? 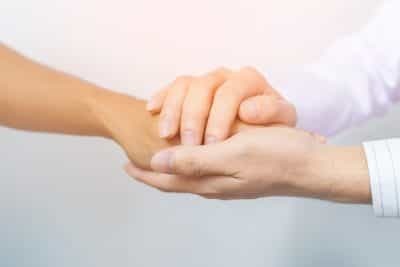 Trembling in the hands and feet sounds similar to the condition known as delirium tremens, but delirium tremens (DTs) is different; it is among the most severe of the side effects of alcohol withdrawal. It can occur in people who chronically abused alcohol, usually for very long periods of time. 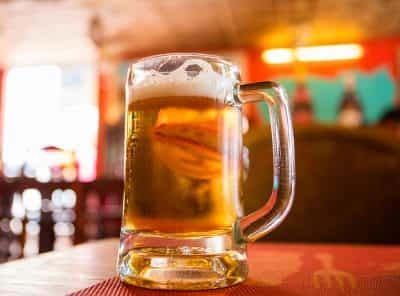 Delirium tremens tends to develop in people who have a history of alcohol withdrawal, especially those who drink multiple liters of hard alcohol every day for months at a time. It most commonly strikes people who have been drinking unhealthily over a period of years. DTs is a medical emergency and should be treated as such. It represents the extreme end of the alcohol withdrawal process, and it can prove deadly if the patient does not receive immediate attention, which happens in 35 percent of cases. What’s the Best Environment for Detox? Because alcohol withdrawal causes such wide-ranging psychological and physical symptoms, patients need to go through the process in the right kind of environment. For people with a mild to moderate alcohol use disorder, the symptoms tend to be similarly mild to moderate (although this can depend on a number of other factors); for such patients, they may need nothing more than peace and quiet, a healthy diet and a lot of fluids, and solid rest. However, for those who experience the brunt of detoxification (everything from confusion to hallucinations), it might be necessary for them to be admitted to an inpatient care facility (either a hospital or drug treatment clinic). Here, they can be administered anti-anxiety drugs like benzodiazepines, which will lower the electrochemical excitation in the central nervous system. This will reduce anxiety and insomnia, and decrease the chance of seizures. Benzodiazepines are powerful drugs that should be taken only under medical supervision, so patients should not attempt to use them on their own. Generally speaking, the alcohol withdrawal process lasts about a week. The basic symptoms (headache, nausea) last for two days; the more intense symptoms (vomiting, fever) for another two or three days; and then, symptoms dissipate over the remaining time. Those who were chronic abusers of alcohol might go through delirium tremens before the overall signs of detox start to subside. The rate at which an embattled liver metabolizes unhealthily high amounts of ethanol depends on dozens of different factors, some of which can be controlled, and others that cannot. This is why some patients are in detox for weeks or even months at a time, moving through the different stages of withdrawal at a much slower rate and requiring close care for every step. Even when the process is over, individuals will still likely experience cravings and other minor effects as a result of the withdrawal, which can be addressed by psychological therapy and medications. Should You Detox on Your Own? There are people who try to quit alcohol without any kind of medical regulation – no therapy, no medication, no tapering down. They may do this because they feel like they have their drinking under control and can stop whenever they want, because they feel like they cannot afford to pay for treatment, or because they are too ashamed to ask for professional help. Quitting without help (also known as “going cold turkey”) is incredibly risky because these patients will still experience the full force of withdrawal, but will have no protection to mitigate the worst of the symptoms. For example, the mental disorientation that comes in the latter stages of withdrawal will not be treated with benzodiazepines. Patients going cold turkey will not even have the benefit of a compassionate voice to reassure them that their anxiety is a natural part of the process. This can be very dangerous because the inability to distinguish between reality and hallucination can harm both the patient and the people around the patient. Additionally, alcohol withdrawal takes such a physical toll on the body that patients run the risk of being malnourished and dehydrated without proper care. At best, this is remedied by simply having healthy, curated meals; at worst, a patient is put on an intravenous drip to ensure that they still get necessary nutrients and vitamins until the stomach can handle solid food again. But a person who is detoxing on their own will have to attempt to get the right kind of food to build up strength and stamina in the wake of a damaging alcohol habit and the tough withdrawal process that follows. Heavy drinkers tend to have unhealthy diets, according to Alcoholism: Clinical & Experimental Research, so a good amount of nutritional correction may be needed. A patient who detoxes at home might remain malnourished and severely dehydrated, and the lack of essential nutrients can lead to immune system problems, reduced muscle and bone density, and hypothermia. These are just two examples of what can go wrong if a person endures the alcohol withdrawal process without proper help. Unsupervised alcohol withdrawal can be deadly. The British pop singer Amy Winehouse died at 27 from an official cause of alcohol poisoning, although there is widespread belief that she attempted to go off severe substance abuse on her own. Commenting on her death, the physician director of a Betty Ford Center in California told The New York Times that people trying to get off frequent and consistent alcohol use should seek medical help instead of taking the “dangerous” risk of doing it without assistance. When conducted properly, the alcohol withdrawal process is how individuals can overcome the physical effects and symptoms of their dependence. Breaking the physical hold of alcohol abuse clears the way for mental health professionals to step in and help individuals work on the emotional and psychological side effects of withdrawal. Such side effects can include anxiety, depression, and the possibility of suicidal thoughts. These can be treated by medications, therapy, and counseling; however, such treatments are unlikely to be successful if the person is still grappling with the physical effects of withdrawal. This is why withdrawal has to be the first step in the withdrawal process; it is also why individuals should not detox by themselves because there is the risk that they will not follow up with appropriate counseling and therapy. 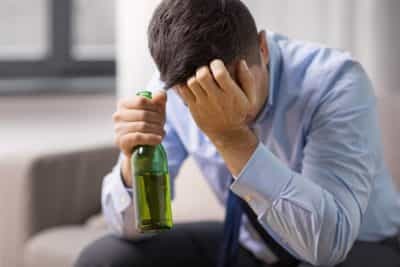 The psychological fallout of the alcohol abuse and withdrawal can be enough to induce a relapse, if the person does not have a therapist to guide them through the rest of the process. This is why therapy is essential to the addiction recovery processand should be considered a natural part of the addiction withdrawal process as well. Withdrawal without therapy is considered incomplete, and licensed treatment centers will look to move a person from detoxification into therapy as soon as they are ready. The key to all this is the prevention of relapse. Going back to drinking after treatment isn’t necessarily a sign of failure, but it can make future withdrawal symptoms much more difficult. Therapy gives clients the mental and emotional tools they need to counteract the impulse to drink when the temptation inevitably rises. Connection with a 12-Step program is another vital piece of the puzzle. Being a member of a support group, like Alcoholics Anonymous or a similar peer-based program, introduces the client to a network of accountability, which increases the defenses against relapse and provides solidarity if relapse happens. Having regular contact with other people who have been through the alcohol withdrawal process can be a source of comfort for those who are navigating the world as a newly sober person. The alcohol withdrawal process is not easy. The temptation to drink to stop the effects of breaking the physical hold of alcohol can be overwhelming. Persisting through the distress, and using medical interventions to overcome the worst of the symptoms, can set the stage for deeper healing and a solid chance at a healthy and long-lasting recovery.